English Premier League action returns this weekend following the end of March’s edition of the FIFA International break. Match Week 32 will mark the beginning of a demanding run of matches that will unequivocally bear prodigious effects on both ends of the table. Our first feature game, which so happens to be the first encounter this weekend, will see champions Manchester City on the road against Fulham, while their neighbors Manchester United will be back in the city entertaining Watford. 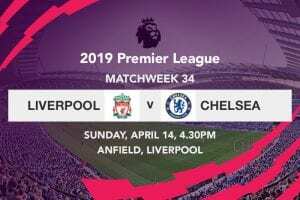 Chelsea will be away in Wales for a match against Cardiff City in Sunday’s first encounter of the day, while the most highly awaited game of the weekend will see Liverpool welcome Tottenham Hotspur to Anfield later in the day. Arsenal will be the last team in action on Match Week 32, as they are scheduled to play host to Newcastle United on Monday night. Manchester City will be hoping to reclaim their place at the helm of the English Premier League standings on their trip to Craven Cottage this Saturday. Pep Guardiola’s charges maintained their impressive form this season by coming from behind to beat Swansea City 3-2 in the quarterfinals of the FA Cup right before the international break. With the Premier League well in its homestretch, City’s exploits this campaign have been nothing short of remarkable, considering that they have already secured a trophy, and are strongly in contention for the remaining three. Being that Liverpool’s bout with Spurs could go either way, Manchester City—who have won their last five EPL games—should utterly dominate both halves against a Fulham side that has suffered defeat in their last five league games. Manchester United will be determined to return back to winning ways when they welcome Watford to Old Trafford this Saturday. The Red devils sustained back-to-back defeats for the first time under Ole Gunner Solskjaer, as a 2-0 Premier League drubbing away to Arsenal was followed by a 2-1 defeat away to Wolverhampton Wanderers in the quarterfinals of the FA Cup. Despite consecutively crashing to defeat before the international break, the news of Solskjaer’s managerial appointment on a permanent basis will certainly add a dose of stability to a side that has had a lot of uncertainties for the future. Watford have done plenty to merit a place on the top half of the table, but United have the perfect ingredients to secure a much needed win on home turf this weekend. Chelsea will be another top side hoping to get back on track this weekend when they play Cardiff City in the EPL. The Blues failed to win their second successive Premier League game before departing for the international break; as they fell to a staggering 2-0 defeat on their trip to Goodison Park. Although still with the option of automatically qualifying for next season’s UEFA Champions League by winning the Europa League, it would be detrimental for Maurizio Sarri’s side to put all their eggs in one basket. The race for fourth place is already complicated by the fact that Arsenal, Manchester United and Chelsea are all in it, but the Blues would do best to win as many matches as they can; beginning with their encounter against a Cardiff City side that looks destined to make a quick return to the Championship. If ever there is an English Premier League encounter that is bound leave you at the edge of your seat this weekend, then the bout between Liverpool and Tottenham is well and truly it. 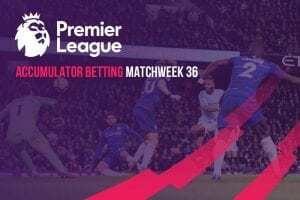 Liverpool may have reclaimed top spot for the first time since the beginning of the month after a late 2-1 win away to Fulham, but the Reds will without question be wary of second placed City who are two points adrift but with an extra match in hand. Given how Spurs will also want to arrest their sudden decline after falling short against Southampton, the pendulum could easily swing either way. The one vital thing that can however not miss from the match is goals, as both sides have scored in four of their last five league meetings. Arsenal will be looking to maintain their rich vein of form when they welcome Rafa Benítez’s side to the Emirates on Monday night. Thanks to an impressive win over Manchester United after Tottenham’s slump against Southampton, the Gunners are a meager point shy of third place; a position they can spring to with win over Newcastle United. The Magpies aren’t exactly beating boys, but Arsenal simply can’t afford to let this opportunity pass up given Tottenham’s test against Liverpool over the weekend.